Gao Hong, Chinese pipa player and composer 高虹，琵琶演奏家／作曲家 is at 中国国家图书馆 National Library of China. It’s my great honor to perform with guqin master and Prof. Zhao Jiazhen （赵家珍）percussion master Li Congnong （李聪农）and rising star guqin player Li Lingchen （李令晨）“Guqin Meets Pipa“- 当《广陵散》遇上《霸王卸甲》 at the Beijing National Library Arts Center Concert Hall on July 10th. 1 week 20 hours ago. 衷心感謝中國民族音樂國際網做的精美專訪。最後給Gus Holley的問與答非常精彩。我想他對中國音樂的熱愛是他為什麼能在兩年的時間就把琵琶彈得如此像樣。文章中有音樂視頻😊 3 weeks 1 day ago. With millions of CDs on Amazon, I am very happy to see that today’s Far East and Asia section put four CDs as Amazon’s recommendations. Our “Chinese Buddhist Temple Music” by Bao Jian, Hu Jianbing and Gao Hong is a top recommendation and also a Best Seller 😊👏🙏 Thanks to the ARC Music label and Diz Heller in the UK 🇬🇧 for re-releasing this beautiful CD🙏🙏🙏 3 weeks 4 days ago. With millions of CDs on Amazon, I am very happy to see that today’s Far East and Asia section put four CDs as Amazon’s recommendations. Our “Chinese Buddhist Temple Music” by Bao Jian, Hu Jianbing and Gao Hong is a top recommendation and also a Best Seller 😊👏🙏 Thanks to the ARC Music label and Diz Heller in the UK 🇬🇧 for re-releasing this beautiful CD🙏🙏🙏 Music Link: https://m.youtube.com/watch?v=_xXOx0F2wO0 3 weeks 4 days ago. Gao Hong, Chinese pipa player and composer 高虹，琵琶演奏家／作曲家 shared a link. 2 months 1 week ago. When pipa player and composer Gao Hong has a potluck, the guests include a couple Grammy winners, one of the nation’s foremost authorities on Arabic music, and a healthy helping of string instruments. Featuring two original compositions by Gao and collaborations on both new and traditional songs, Pipa Potluck stirs up a warm and nourishing multicultural meal on pipa, banjo, fiddle, slack key guitar, oud, and not forgetting regular guitar. 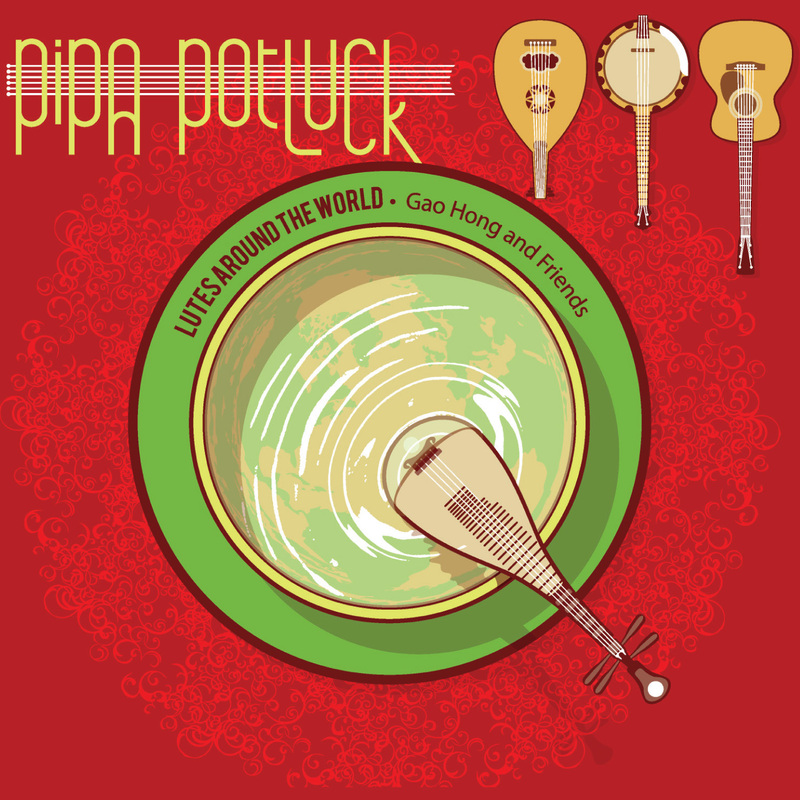 Recorded half in the studio and half at a live concert in Saint Paul at St. Catherine’s University, Pipa Potluck could be looked at as a series of courses, but also conversations. The flavors and languages comingle with all their identities intact, giving a warm sense that yes, we can all get along on this planet. On “Cluck Old Hen,” “Sally Johnson” and Gao’s own “Green Willow Tree,” she finds common ground with Grammy-winning banjoist Alison Brown, fiddle player Matt Combs and bassist Garry West. The interplay between pipa and the slack key guitar of 4-time Grammy-winner George Kahumoku, Jr. stand out on “Mosquito Song” and “The Source of the Spring Water.” The Middle Eastern oud appears twice, played by Yair Dalal on “Friendship” and Bassam Saba on “Longa Nahawand.” And on the appropriately titled “Lutes Around the World,” the voices of the pipa, the banjo, the oud, the slack key guitar and all the guests come together to close the album out. Gao began her career as a professional musician at age 12. She graduated from the Central Conservatory of Music, Beijing, where she studied with the great Lin Shicheng. In both China and the U.S. Gao has received numerous top awards and honors. She is the only musician in any genre to win four McKnight Fellowships for Performing Musicians and was the first musician to win a Bush Fellowship for Traditional and Folk Arts. Gao has performed throughout Europe, Australia, Japan, Hong Kong, China, and the U.S. in solo concerts and with symphony orchestras, jazz musicians, and musicians from other cultures. As a composer, she has received commissions from the American Composers Forum, Walker Art Center, the Jerome Foundation, Zeitgeist, Ragamala, Theater Mu, Minneapolis Guitar Quartet, Lars Hannibal, and Twin Cities Public TV. She is currently on the music faculty of Carleton College where she teaches Chinese instruments and directs the Chinese music ensemble and is a Guest Professor at the Central Conservatory of Music in Beijing.